Some of today's brightest individuals have aspirations beyond mere mortal boundaries. And steps are already being taken to shuttle mankind places we never imagined going. But even though Curiosity can safely explore the parched surface of Mars, it might not quite be so simple for someone to one-up Neil Armstrong and set foot on the Martian planet. According to NASA, citing data collected from Curiosity, astronauts would be exposed to a full lifetime's worth of radiation on a journey to Mars—and that only takes into consideration going to and from the planet, not setting foot on the actual planet itself. "Radiation exposure for human explorers could exceed NASA's career limit for astronauts if current propulsion systems are used," NASA explained. All those people who signed up for a possible one-way ticket to the planet just collectively cried out in horror. According to Cary Zeitlin, principal scientist at Southwest Research Institute, astronauts would get hit with as much radiation as getting a full-body CT scan about once a week for a year. That amounts to nearly two-thirds of allowable lifetime exposure; the data doesn't account for spending any actual amount of time on Mars, only getting to and from. The news has a silver lining, though. NASA says the data provides researchers with the necessary information to build more protective shielding in its spacecrafts. Right now, NASA has a three percent threshold of increased risk of fatal cancer as an acceptable career limit. 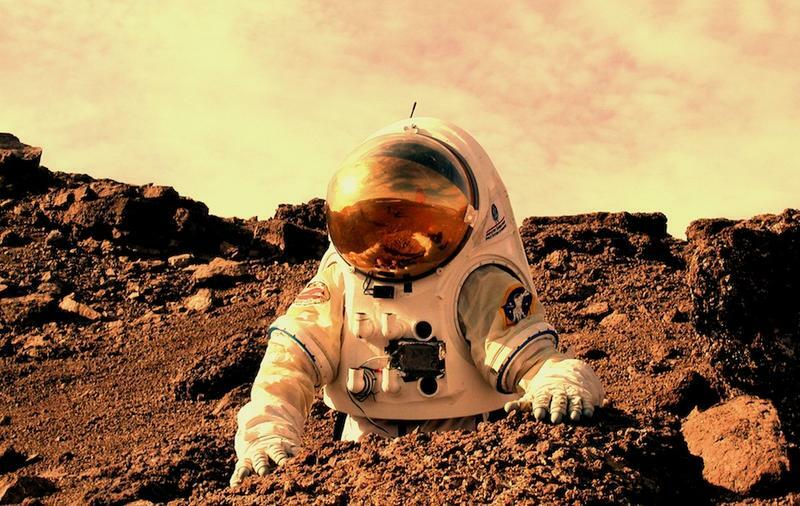 Scientists are currently discussing acceptable exposure limits for deep-space explorers, but suffice to say the safety of travelers to Mars would definitely be at risk. Two forms of radiation pose potential health risks to astronauts in deep space. One is galactic cosmic rays (GCRs), particles cause by supernova explosions and other high-energy events outside the solar system. The other is solar energetic particles (SEPs) associated with solar flares and coronal mass ejections from the sun. Current technology is capable of protecting against SEPs, but GCRs are much trickier. For SEPs, an astronaut would simply need to move into a special area with extra shielding; GCRs is capable of penetrating that shielding, however, meaning NASA has to come up with better measures against that. That's where the data bring provided by Curiosity comes in. One potential way to protect travelers would be to surround them with water—hydrogen allegedly combats well against cosmic rays. Another possible way to reduce the risk would be more advanced propulsion systems to get people through space at a faster rate. Sure, Mars seems like a paradise, (mostly) free of the smothering human influence. But there are invisible and deadly dangers lurking out in space that go beyond simply sending a human to Mars for a quick jaunt. For a better grasp of how radiation would affect travelers on a Mars mission, check out Space.com's infographic.